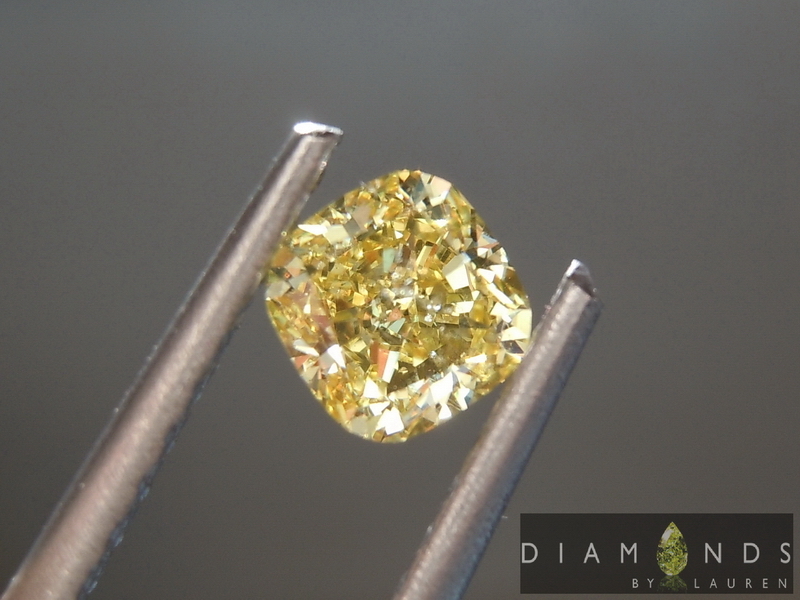 I love SI2 diamonds. Let me rephrase that. 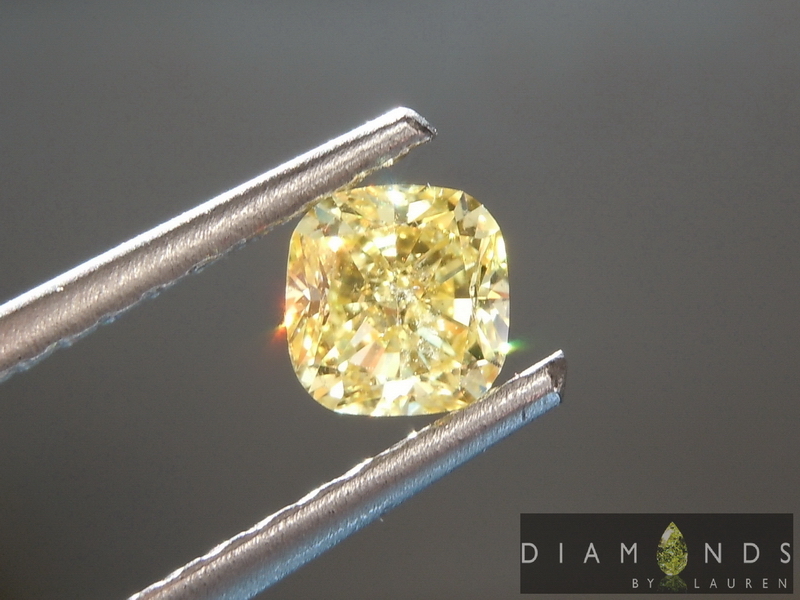 I love the opportunity to look at SI2 diamonds, and pick the very best ones. 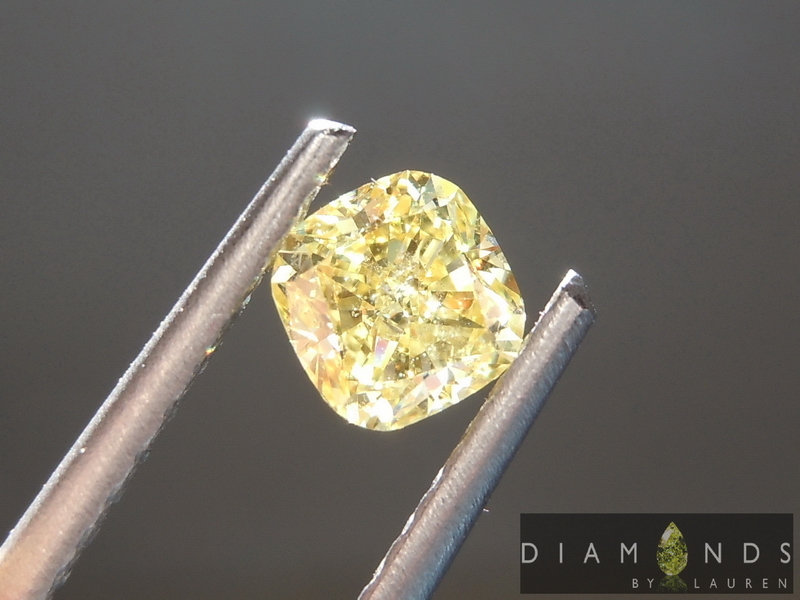 In essence, an eye clean SI2 diamond look just like a Flawless diamond to the naked eye. I picked this stone because it fits into that category. Besides being eye clean, this one is also a pungent canary yaellow. The cut,ah, how nice! 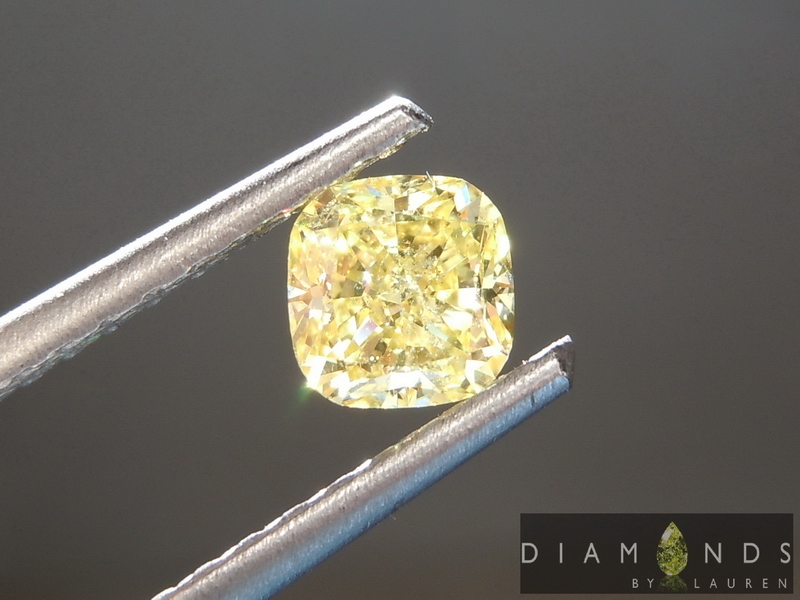 Perfectly done for a canary cushion diamond. Tons of sparkle, not a lot of dark areas at all. 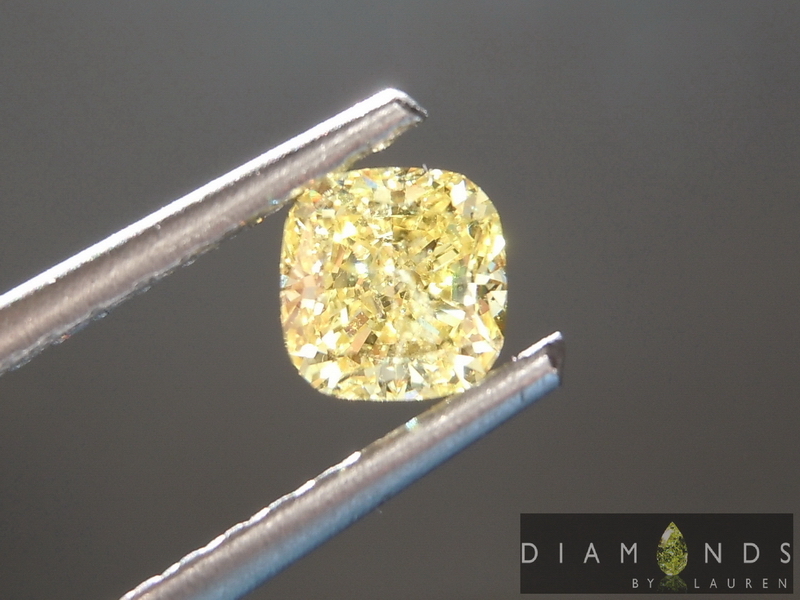 The stone will look amazing once we set it. We specialize in setting these things, did I mention that?